Well, here we are, under the gun, with only hours left to spare with this months song. Let it be noted that I made it. However, you may cry foul here soon enough. I’ve been writing songs for many years. In fact, since I was about 17 (23 years!) when I wrote the classic “Love them Lord like you love me” - Oh boy. I was 17. And it was sweet. And awful. I have a lot of original songs. Some I like, some, not so much. Some were for a specific place or time. The problem has been knowing what to do with them. I’m not a professional musician although music is a part of what I do. I don’t tour or make records (but we just might coming up here pretty soon). That is a little bit of the inspiration for posting the song of the month here. To at least make these things I’ve created available. If I had a “greatest hit” among the few people that have heard this music, it would be this month’s song. In fact, I am posting this song at this late hour for one specific person (Hi James!) who requested a downloadable version. I wrote this song before I moved to Modesto. We were visiting here but still working with YWAM in Kitchener, Ontario in Canada. I started it while driving now familiar roads and noticing how many orchards were missing from previous visits to clear the way for new housing developments. Little did I know the effect the quick money developments would have here in the wake of the housing boom that is now the housing fallout. So many have lost their homes and so many more will never have a chance to own one. This kind of hardship definitely trickles down to the poor. The state cuts funding, the donors give less, organizations and ministries hurt and offer fewer and fewer services. Good thing our hope isn’t in money. I didn’t know any of this stuff then. It was just a thought I had while driving through some devastated orchards and wondering if it wasn’t just a bit short-sighted to pave and build over some of the country’s most fertile soil for big, fast, house money. Which got me to thinking about how I neglect the most important relationship in my life for futile, empty pursuits. This song is a repentance. And it’s probably good that my friends keep wanting me to sing this song as it’s the easiest thing to slip into. In the distraction of culture and information, help us remember you, the one, true, magnificent God. Amen. A quote from South 9th St. I haven't blogged yet this year. And here we are, January 19. Wow. After the whirlwind of the holidays, I made a trip back to Kentucky to help take care of some family business. No, I'm not in the mafia. 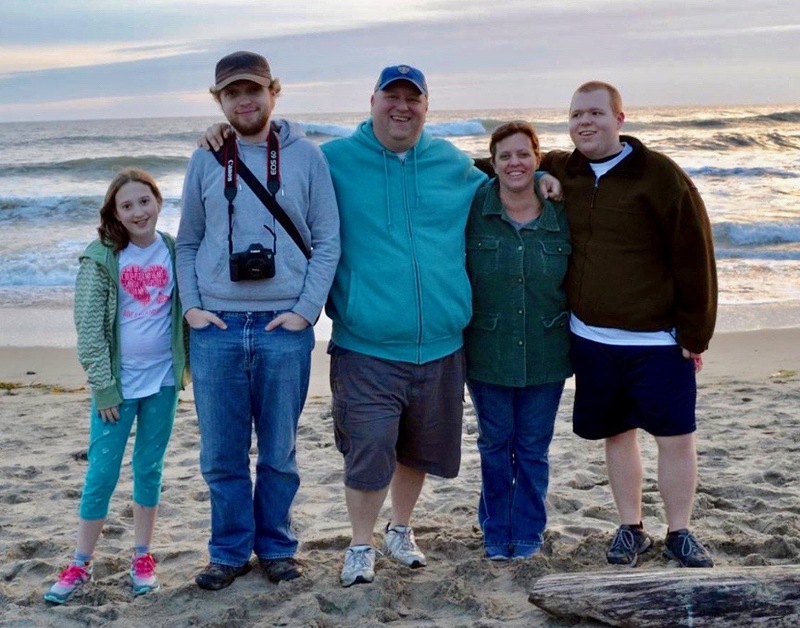 My father, for quite a few years now, has suffered from an Alzheimer's type of dementia. He is quite weak physically and can speak very little. He has no ability to take care of himself. He is living with my sister and her five kids. On the weekend, there was a guest speaker at my sister's church from Liberty University, Dr. David Wheeler (he's the 2nd one down). This man gave a great message. He talked about how we as a church have given in to indifference to the dying world around us and have acted entitled to a church experience that serves us and our needs. He gave a stirring reminder of Jesus' calling to serve rather than be served. Jesus told his students that if they wanted to be great in God's kingdom, they would serve. 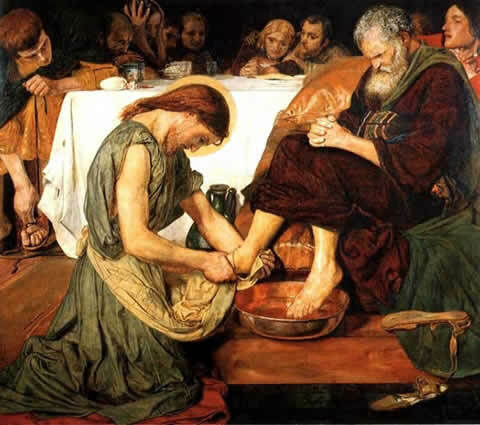 At the last supper, Christ took a towel and did the work of a servant (diakonos - the lowest servant where we get the word 'deacon') and washed his friend's feet. Dr. Wheeler told us that past all our programs and planning and buildings and stuff, the greatest tool we have as Christians to reach out to the world is the towel. I think we get the idea that Jesus took up the towel as an object lesson to his friends. That maybe he was self aware and he was really going to teach these guys a lesson. "Wow, this is going to blow their minds, I'm the savior of the world and I'm going to wash their feet!" But it wasn't this. Jesus simply wanted to serve his friends. He wanted to refresh them, help them feel clean and comfortable. We can have the tendency to turn this into a removed symbol, putting air quotes around "washing feet". I remember the symbolic foot washings we had in our church as a kid. Everyone pre-washed their feet and made sure they had on clean socks. We can turn anything, even some of the most beautiful moments in the history of the universe, into lifeless ritual. Everyday, at my sister's house, she literally takes up the towel and uses it to serve a vulnerable man. She helps him feel clean, comfortable and refreshed. She does this simply out of love. This is the ministry of Christ. If you want to be like Jesus, be like my sister.